Scranton, IA - Another successful New Way® Sidewinder Service school was recently completed at New Way® headquarters in Scranton, Iowa the week of June 10th. This important school trains New Way® personnel and distributors how to troubleshoot and repair problems that may occur on Sidewinders. 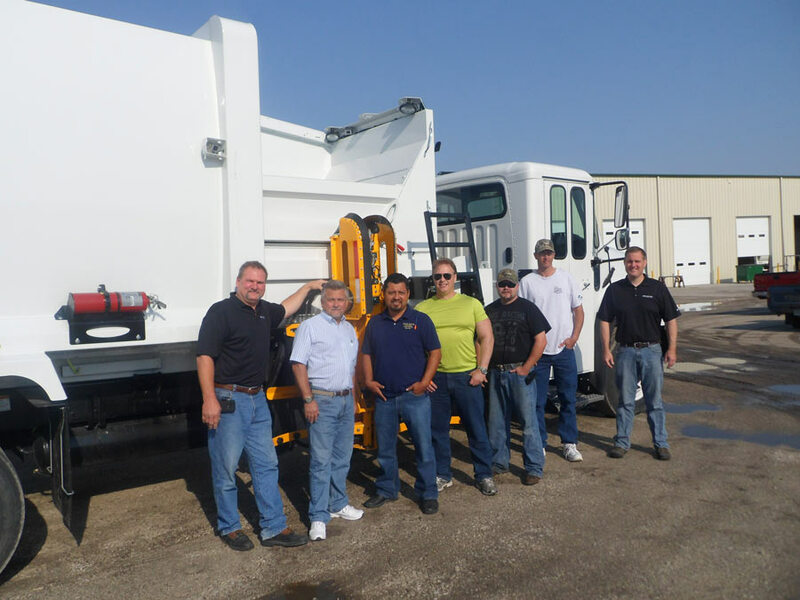 Class members from Left to Right: Carl Pezold-Instructor, Wayne Grundmeier-New Way®, Ozzy Ordaz-Ray Gaskin Services, Jim Forney-Solid Waste Systems, Charles Cook-Elliott Equipment, Brad Luethke-Elliott Equipment, Chris Milligan-Instructor. Not pictured is Matt Rastetter-New Way®.